The Betsafe App is downloadable for iOS and Android. Betsafe works hard to be a top bookmaker although it has struggled to make many of the top 10 UK sports betting site lists. However, the Betsafe app is one of the best sports betting apps that are out there. The app gives users daily offers, which means they change from day-to-day. The app allows you to bet on sports, live stream the biggest events, follow your favourite teams using the “Favourite” feature, bet before and during live events, and make deposits and withdrawals. This is an award-winning app and for good reason. It is one of the main components that set Betsafe apart from other bookmakers. Currently, there isn’t a new customer offer because the previous offer expired and a new one hasn’t replaced it yet. Historically, Betsafe gives a free bet after making an initial qualifying bet. For mobile users, there are daily deals and promotions that are given to mobile users only. The promotions change from day-to-day, so specifying an exact promotion is very difficult. You must check the promotions screen each day to see what is available for new and existing customers. As for the app’s functionality, an award-winning app comes with a lot of expectations. You expect secure and reliable functionality. The app is available for iOS and Android. Users of other mobile devices will have to use their mobile browsers. Unfortunately, using the mobile browser doesn’t give access to the exclusive deals and promotions that are available daily. If there are any sportsbook promotions on the website, mobile browser users can take advantage of those. What’s important is that you can access your account from anywhere in the world with the mobile app. If you have a data or Wi-Fi connection, you can place bets, deposit money, and withdraw money from your Android or iOS device from the beach if you want to. Again, Betsafe doesn’t currently have a promotion listed on the website, but this doesn’t mean that there isn’t an applicable promotion in the mobile app. With the promotions changing daily, it is difficult to specify exactly how much money smartphone users can collect on any given offer. The fact that daily offers are available is very exciting because it means there is something new for different types of players. If there is nothing for you one day, you can check the promotions tab in the app the next day to see if there is anything new that you can use. To make sure you get the app so you can take advantage of any daily offers, it’s important to understand exactly how you can obtain the app and what you need to do to get in on any offers available to you. The following is a step-by-step guide. Step 2 – Make your first deposit: After you complete the registration process, you can make a deposit to your account using Visa, MasterCard, Entropay, Neteller, Skrill, Paysafecard, instant banking, or PayPal. You must deposit a minimum of 10 GBP to your account. If there are any promotions available at the time of registration, you can enter the code in the designated promotion code field. Step 3 – Activating bonuses and offers: Sometimes, you don’t have to enter a promotion code for an offer. Instead, the offer will activate after meeting a specific requirement. It’s important to closely read the terms and conditions of any offers that you are interested in to make sure you understand activation requirements. Step 4 – Using your bonuses and offers: Always check the promotions screen in the Betsafe mobile app to make sure you take advantage of any offers available to you. Again, read the terms and conditions very carefully to make sure you properly use your bonus so you can cash it out when the conditions are met. Aside from checking daily promotional offers through the app, there is a specified set of promotions you can choose from and those are the Acca Price Boosts. There are boosts for football, horse racing, NFL, rugby, Premier League, Champions League, and more. Continually check the Acca Offers section of the website to see what’s available for you to use. There are multiple payment methods that you can use to make a deposit to your Betsafe account through your mobile device. They include Visa, MasterCard, Entropay, Neteller, Skrill, Paysafecard, Instant Banking, and PayPal. All of these methods ensure money appears in your count instantly. Visa and MasterCard have a service fee of up to 2.50%. The other methods have no fee. You must also deposit a minimum of 10 GBP to your account. The withdrawal methods are Visa, Entropay, Neteller, Skrill, regular bank transfer, and PayPal. There are no service fees. However, there is an approval period of up to 24 hours with varying processing times. Visa and Entropay can take up to 5 days to process after approval. Neteller and Skrill have instant processing times after approval. Bank transfers take up to 5 days. PayPal is usually instantly. The minimum withdrawal amount is typically 20 GBP. 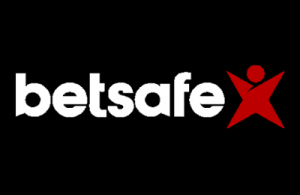 In regards to the safety of the Betsafe mobile app, security is one of the reasons why this app has become one of Betsafe’s best features. The bookmaker is putting a heavy emphasis on its mobile application, which is why you will find many of the promotions in the app. Plus, Betsafe is licensed by the British Gambling Commission, the Malta Gaming Authority, and the Alderney Gambling Control Commission. It’s not easy to obtain these licenses. There are strict requirements that must be met, such as ensuring that the customers are 18 years of age or older. Measures to prevent gambling addiction must also be in place. Betsafe does this by allowing customers to set deposit limits that prevent overspending. There is also a link to BeGambleAware so customers have resources for preventing or getting help for gambling addiction. Overall, the Betsafe app is a good reason to give Betsafe a try. You can download the app, see what promotions are available to you that day, and make a deposit so you can give it a try. This award-winning app puts everything at your fingertips so you can manage your account no matter where you are in the world as long as you have a connection to the internet. The app is a safe and secure product that is intuitive, fun, and there’s the opportunity to get a return on your bets, especially when you take advantage of the promotions that are available for you to use. How do I get the Betsafe app? You can click the iTunes or Android icon at the bottom of the website to be taken to a page where you can download the app. You can also search for “Betsafe Casino and Betting” in the Apple iTunes store if you choose to perform a search. Simply click the appropriate button to download the app to your device, open the app, and start playing. Do I need a Betsafe promo code? Usually, you don’t. Look at the daily offers in the mobile app to see what promotions are available. You can also take a look at the Acca Offers to see what applies to you. If you find an offer you want to use, choose the “Get Acca Boost” button on the offer’s page. Is there a mobile Betsafe promo code? You may not need a code, but there are daily offers that are mobile-only. Check the offers each day to see what applies to you so you can either enhance your winnings or have extra cash for betting.